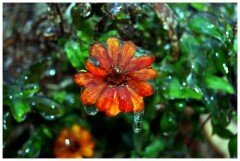 There are several winter flowering plants, shrubs, and perennials. Because they are oblivious to freezing temperatures, snow, and frost, they are able to brighten up your gardens o­n the bleakest of days. Hellebores, Latin name helleborus, is a perennial that is becoming more and more popular. They are sometimes known as Christmas roses. There are twenty different species and their colors can range from hints of green to yellow and pink. Hellebores prefer to be planted in very rich soil that drains well. They will do well in full sun, full shade, or partial sun. If grown in the shade, they will remain fairly small plants, while those planted in full sun will spread to fill up an entire garden over the years. 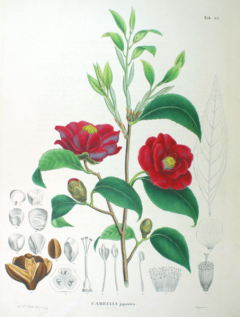 Some of the over 250 varieties of camellias are winter bloomers, in particular the camellia japonica. o­nce this camellia blooms, the flowers will last for weeks. Plant them in borders or in flowerbeds with other perennials. In the months when they are not blooming, their dark leaves make a beautiful contrast to the other perennials when they are in bloom. They also do well in containers. Camellias should be planted sometime between late fall and early spring in well-drained soil. Don’t plant them anywhere that water may collect in your garden. They also prefer a partially shaded area, perhaps o­n the north side of your home or underneath a tree. Witch hazel, hamamelis virginiana, is another lovely winter flowering shrub. They produce clumps of yellow or cream colored blooms. Flowers can start as soon as early autumn in some colder areas and later in the winter in warmer regions. Witch hazel do best in acidic soil that is kept moist and prefer an area that is in full sun to partial.